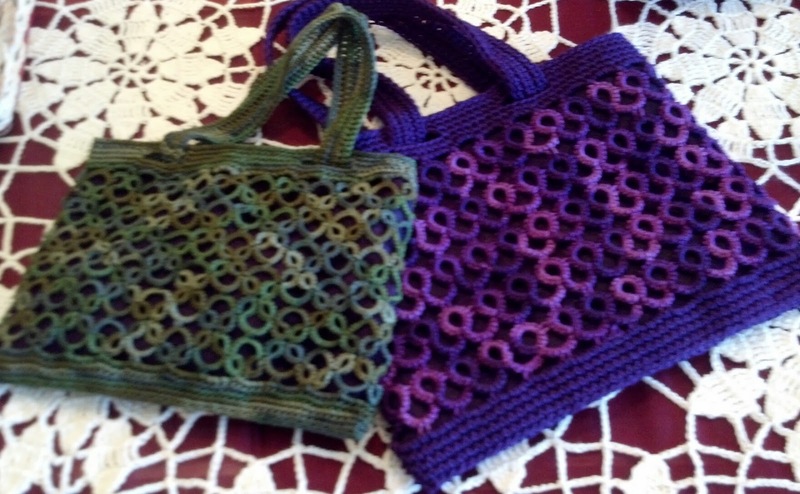 Below is a pic of two bags I just finished up this weekend. These are also two of my favorite colors! The purple one is done with Lizbeth size 3, needle tatted and crocheted, lined with dark purple felt. The green one was made with Lizbeth size 10, shuttle tatted and crocheted, also lined with dark purple felt. Hmm....yeah, I make lots of bags...freaky!